Select Sector SPDRs are unique exchange-traded funds that divide the S&P 500 into nine sector index funds. They have the diversity of a mutual fund, the focus of a sector fund, and the tradability of a stock. Together, the nine Select Sector SPDRs represent the S&P 500 as a whole. However, each Select Sector SPDR can also be bought individually, providing you with exposure to a particular sector or industry group. These securities all have options and can be used with our covered call strategy. Each week the BCI Team will do a 3-month technical analysis of the linear price chart of each sector and compare it to the performance of the S&P itself. The top 3 funds outperforming the market benchmark will be listed and considered to be among the best candidates for covered call writing in the near-term. We will also show a chart of all sector components (located in the premium site). These charts are available in the premium section of this site. Exchange-traded funds are securities that track an index or a basket of assets like an index fund, but trade like a stock. They provide the diversification of an index fund. Many ETFs have options associated with them and are therefore covered call candidates. Disadvantages of using ETFs: The one glaring disadvantage is the lower return generated by using these funds as the underlying security rather than individual securities. Expect returns between 1 1/2% and 2% (per month) rather than 2-4% in normal market conditions. This is a result of the fact that we are using a basket of stocks which reduces the overall volatility of the underlying, making the option premium less valuable. For this reason I prefer individual equities but will use these securities in certain situations (earnings season and my mother’s more conservative portfolio, for example). These are also appropriate for ultra-conservative investors and during extreme market volatility. Since we spent $48,700, we will have a cash balance of $1300 from our original $50k for possible exit strategy execution. The total cash generated is $1210. The percentage initial return is $1210/$48,700 = 2.48%. You will note that I used near-the-money strikes which generate the highest initial returns. Based on your market assessment you can take a more or less aggressive stance. The use of ETFs in our covered call portfolios has its advantages and disadvantages. Understanding these pros and cons will help us determine how and when to utilize these securities. The show can be accessed at all times during these 2 days. The unemployment rate shockingly dropped by 0.4% to 8.6% in November. This was the result of stronger household employment data plus a reduction in the labor force. Are workers giving up on finding employment and leaving the work force? To be continued. U.S. manufacturing rose to 52.7 in November according to the ISM Manufacturing Index. This was the highest level since June. A number over 50 suggests economic expansion. According to the Federal Reserve’s latest Beige Book the US economy grew at a “slow to moderate pace” between October and mid-November. For the week, the S&P 500 rose by 7.4% for a year-to-date return of 0.9% including dividends. Let’s say that we are pleased but not quite ready to initiate our victory dance for a raging bull market. BCI: Neutral, fully invested and selling mainly in-the-money strikes. I’m glad you wrote this article. I’ve been a member for three months and always concentrated on your stock report. These ETFs look interesting and give us many more choices. The Weekly Report for 12/02/11 is now available for download from the Premium Member website. This weeks stock list shows ULTA in bold. It looks like you can get a near 3% return for the 75 option with 2 week2 left until the option expires.It was up 5.60 on Friday after earnings. Too risky? Any thoughts appreciated. I was looking at that one also and would like comments. Note it’s been on the list for 21 weeks that’s a really good sign. It also gets two positive rating in the Investtools system. I’m looking at it for Monday. 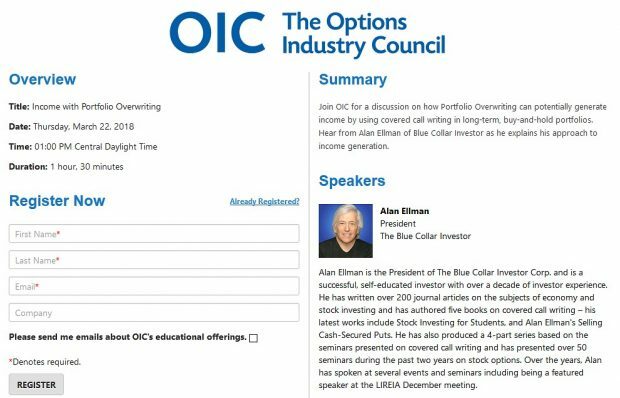 I have to compliment the BCI team – they have responded to my concern about the color coding in the ETF reports and plan to make changes to accommodate color blind users. This is an example of great customer service – thank you. I’m waiting to see the price action on Monday. There may be some profit-taking after the big increase on Friday. Good article, Alan. I would add one other glaring disadvantage to using sector ETFs: the entire sector often moves in unison. There is no better example of this than the chart above showing the financial sector dow 4.5%. Now, I have it on good authority that there are still some wonderful financial institutions out there. They are continuing to make money, they are not investing unwisely, yet their stocks are often hit because someone else has done something stupid. Does that make the sector ETFs a bad choice? Absolutely not. The beauty of them is that one bad stock in the sector will not harm your investment anywhere near as much as if you had actually picked that one stock to invest in. If you invest in the technology ETF you get a small piece of Apple, among others. So you can share in the Apple stock appreciation without having to pony up $41,000 for 100 shares in order to sell a covered call on Apple. This is a different venue from the one I mentioned in this week’s article. Excellent point Owen about the technology ETF and Apple. I have wished I could do covered calls on Apple for some time, but that $40,000 some price is not doable for most of us. So I will think about the technology ETF. By the way I just listened to the cdtv interview (post #9). Great job Alan, in explaining the benefits to covered call writing. As you know many stock prices seem to oscillate, forming a well defined trading channel. I like a strategy where I buy a stock bouncing off the suspected support level, and sell a deep ITM call which is located below the support level. As long as I earn 2-3 % I will go as deep as possible ITM. BCI selects well performing stocks and therefore they are often near their peak or suspected resistance level when listed. I often can’t use my strategy because of the distance between the current stock price and the support level ( if it really exists). Would it make sense for me to delay initiating the buy/write until the stock drops toward the support level, where I can then write deep ITM, and still make a profit with minimal risk? I have often been using your list of recommended stocks as a watch list –waiting for the prices to oscillate down. Then I pounce. Does my stategy make sense? I realize that many of your recommendations may not continue to oscillate, but rather may continue to climb, and thus I will miss an opportunity to trade the stock. Certainly your approach can be substantiated by sound technical principles and I commend you for tailoring your blue collar approach to your risk tolerance level. For the thousands of our members there is no one approach that suits each and every investor and yours is a very conservative, sensible strategy. One point you may want to consider is that in our weekly stock report some of the stocks with mixed technicals (not in bold in the running list but still in “white cells”) may meet your criteria. These stocks ARE eligible for consideration. For example, in the current report you will note the comment on page 2 of the report for NUAN: “Price @ 20EMA”. You can run your anlysis on these equities and see if they meet your needs. Ok, major WARNING here: DO NOT TRY THIS IF YOU DO NOT THOROUGHLY UNDERSTAND IT, AND YOU DON’T HAVE A LOT OF FAITH IN THE STOCK!!! Your wish can be (sort of) granted, with a tad of extra cost, using a call spread. Here is how it works. There are actually TWO ways to sell a covered call. The first is what all the BCI are familiar with, buy the stock, sell the call option. The second method is, buy one call and then sell a different strike call on the same stock. It is called a spread. Now, you may need a higher level of trading permission from your broker, so call them and ask. Example for Apple: Buy the Dec $360 call for $31.10. Sell the Dec $390 call for $7.50. Your net out of pocket will be $2,360. Your breakeven will be a stock price of $383.60. If Apple closes above $390 you will make $640 on an investment of $2,360, a return of 27.12%. The risk you are really taking is that the stock does closes below $360. Unlike owning the stock, the lower option wil expire worthless, and you will not have a chance to hold on until the stock comes back. The extra cost I mentioned is the fact that, by using the $360 call, at $31.01, you are essentially going to pay $391.01 for the stock and turn it around and sell it at $390. Like I said, DO NOT TRY THIS IF YOU DO NOT UNDERSTAND IT, AND BELIEVE IN THE STOCK. PLEASE! When I do credit spreads, I never hold until expiry…I exit with 50-80% of the initial profit target, usually the week before expiry. So, the exposure is the difference between strikes less net credit. ULTA up 86 cents to 75.05 in premarket. Your advice is very good. If you do not have the funds to cover an option exercise, taking the profit before expiration Friday and moving on to another deal is much safer. Getting hit on one side of the trade could be difficult. The Weekly Report has been revised and uploaded to the Premium Members website. Please look for the report dated 12-02-11-REVA. Barry and the BCI Team. The exposure is on a per share basis. Sorry I didn’t include that point in the original posting. A new file has been added to the “resources/downloads” section of your premium site that explains the use of all tabs of the Elite Calculator. Look for “Elite Calculator- User Guide”. Under which market conditions would you favor at the money strike prices? I understand the other two. Thanks for this wonderful site. Selling an at-the-money strike is a bullish position. If offers the highest initial percentage return but offers no protection OF THAT PROFT and no upside potential for share appreciation. I will use these strikes when the market tone is neutral to bullish and rarely will employ these strikes in volatile and bearish market environments. Investors with a higher risk tolerance than mine will tend to use ATM strikes more frequently. I read an article that said that some options are exercised early if a dividend is about to be distributed. How does this affect our covered positions and how do we avoid this from happening? One of the BCI rules is not to do covered calls around earning and dividend time. Too much volatility. Frank is spot on when he speaks of avoiding the volatility of an earnings report. Thanks for re-stating this rule for our new members. Dividends are slightly different in that they are generally expected on a quarterly basis and we know the amount of the distribution. Therefore stocks that generate dividends are eligible for covered call writing. Now, if the time value of the premium sold is less than the dividend distribution there is a POSSIBILITY of early exercise. This may or may not be of concern to an investor depending on potential tax consequences. This is why I prefer to do my covered call writing in sheltered accounts when possible. To avoid this possibility, an option can be rolled forward prior to the ex-dividend date. If losing the stock is not an issue you can allow early exercise and use the cash to establish a second income stream in the SAME month with the SAME cash. This is similar to our “mid-contract unwind” exit strategy. They can’t exercise what you no longer have as a short position. That doesn’t mean someone may not exercise the next call you roll into, but eh the one you closed is history as far as you are concerned. Everyone needs to remember who many of the buyers of these calls are: SHORT sellers. If the stock goes up a short seller is losing money. He may decide the pain is too much, and calls in the stock early so he can close his position and move on. I just finished reading Cashing in on Covered Calls and I really learned a lot from it. I’m ready for your next book but can’t decide on which to get next. Does you latest book have all the exit strategy information found in Exit Strategies? Thanks fror sharing your kinowledge. We have enhanced the format of some of the charts to accomodate our members who have difficulty distinguishing between colors. My latest book (Encyclopedia….) DOES have all exit strategy choices found in my second book. That chapter consists of 57 pages. Exit Strategies offers many more examples of each strategy. A recent entry to our premium watch list, this stock reported a stellar 3rd quarter earnings report. Revenues were up 14% year-to-year and earnings beat by $0.01. The price recently spiked to an all-time high thanks to stores in Asia (China sales up 19%). There is a 12% growth projection for next year. Our premium report shows an industry segment rank of “A” , a beta of 0.78 and a % dividend yield of 2.00.